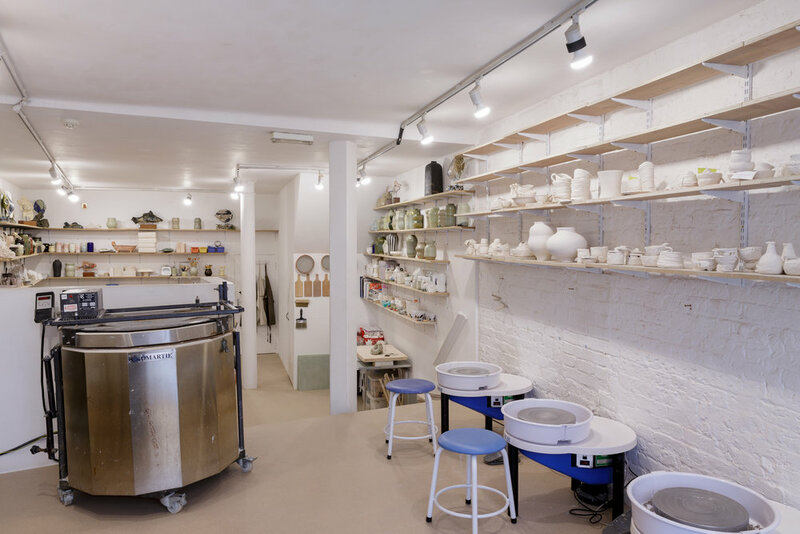 Ceramics Sculpture Studio provides long-term and short-term memberships to experienced ceramic artists who are looking for a contemporary pottery studio to work in NW London. Great transport connection to West Hampstead & Kilburn Station on Jubilee Line (only 7 minutes walking distance), Overground and Thameslink train to West Hampstead station. Paid car park spaces are also available. Before membership starts, a full induction to the studio Health and Safety is given. 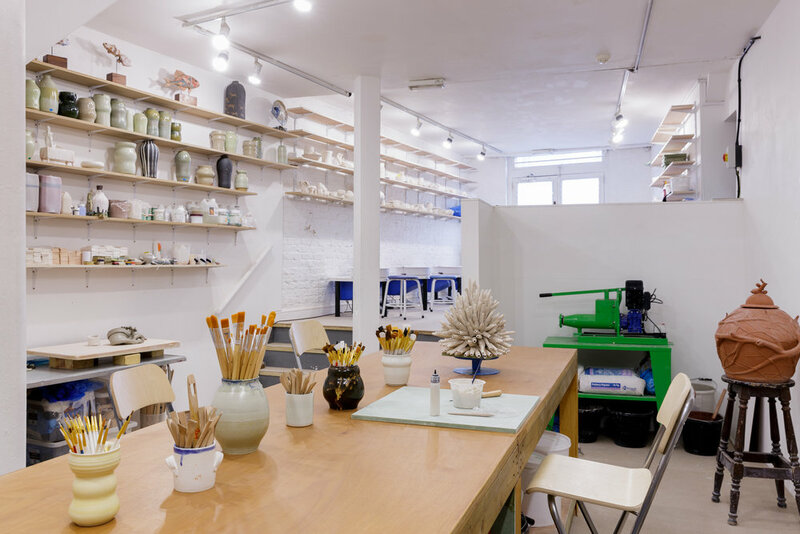 Membership includes three days per week access to the studio, Monday to Friday from 10.00 am to 5.00 pm. 40L free firing per month. Each member has a personal storage shelf ( L 200 cm x W 30 cm x H 40 cm ). Each member has a personal clay storage ( L 60 cm x W 30 cm x H 28 cm ). A variety of in-house glazes. Use of tools and equipment, access to communal work areas, tea & coffee station, Wi-Fi. The chance to exhibit in two shows per year. Each member is entitled to exhibit up to 5 art pieces per show. 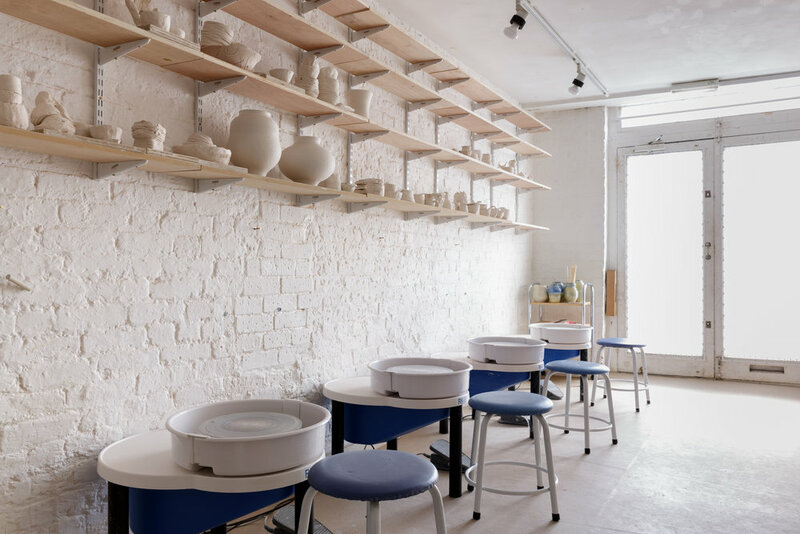 Clay available at the studio at trade prices and includes : special porcelain, special flecked stoneware and b17c stoneware. Please note, if you exceed your monthly 40 L free firing a small fee of £1 per L is required to minimise the firing costs.